"It fills me with pride and contentment when I look back on what we as a team have achieved so far, and on how – even in difficult times – we have always managed to find optimum solutions for our clients and open up new opportunities. I continue to take pleasure in discovering new worlds, constantly driving forward the development of our company and learning more myself – full of spirit and enthusiasm." After studying macroeconomics (with a major in business information technology) at the universities of Mannheim and Heidelberg, including stints in South Africa, Torsten Klein gained broad experience in the IT industry – initially as a consultant at an international consultancy in the financial services field and then as a freelancer. He has been Managing Partner of it-economics since its establishment in January 2003. Though beginning his career as a software developer, he began to focus more and more on project and programme management. After notching up successes in programme monitoring in a variety of large-scale projects for the CEO of one of Germany's biggest IT services providers, he now devotes the majority of his time to it-economics' strategy and future development. Over and above this, he still takes on selected mandates in the field of project and programme management and as an organisation consultant for IT decision-makers. "Commitment, quality and professional skills are the key to a successful project – the sort that it-economics delivers. What fascinates me about my job is not only being able to make and watch the company grow, but also solving tricky problems and getting projects in difficulties back on track." Last but not least, Stefan Schmid, a graduate in IT and business studies, became it-economics' fourth partner in 2006, rounding off the management team. When he joined the company, he was already an "old hand" at IT management, with more than ten years of experience at Accenture under his belt. A specialist in project and programme management and in managing the architecture of heterogeneous application landscapes, Stefan Schmid's remit at it-economics also includes sourcing IT solutions, which for example involves organising tenders, managing the company's supplier portfolio and choosing suppliers. "One of the factors in the success of it-economics is that the partners are united in their pursuit of the company's goals – we are all on the same wavelength. Still, each partner has his own ideas, there is a competitive atmosphere; each has different strengths that complement each other well. It's great to see how this again and again generates rise to new ideas, and I am pleased to be part of such a creative process. In our search for perfect solutions, we often run up against difficult technical problems; this forces us to forge new paths in order to bring our projects to a successful conclusion and to survive in a competitive market. These are the sorts of challenges that continue to motivate me and spur me on." Tobias Fischer heads it-economics‘ operations unit and is responsible for overall financial, tax and administrative functions. He also actively engages in client projects, focusing on leading project management, software development and software architecture projects. Before co-founding it-economics in 2003, Tobias Fischer began his professional career as a technology consultant in 1995 at Andersen Consulting (Accenture) and as a freelance-consultant from 2000 to 2002. He graduated in information technology at the Technical University Munich. "it-economics to me means a strong, interdisciplinary team of highly talented staff who, despite their different background, blend in with each other very well and noticeably enjoy their work. I particularly like the short decision-making processes and our clear customer focus. For our clients, we want to be the "trusted advisor", and our main focus is on the lasting customer benefit." After studying mathematical economics in Karlsruhe, Holger Fink worked as consultant at Accenture and for more than 20 years supported various customers from the field of financial services – amongst others in implementing new software systems as well as in projects of IT architecture, process modeling, IT strategy and outsourcing. During this time he went through all career levels. For the last nine years he was a partner at Accenture, in addition, he worked as solution architect, delivery lead as well as quality assurance partner and, moreover, he was involved in refining the Accenture methodology. After that, Holger worked as program manager for Deutsche Bank, for three years, and when the new SAP core banking system was introduced he was responsible for integrating it into the finance and risk systems of Deutsche Bank. 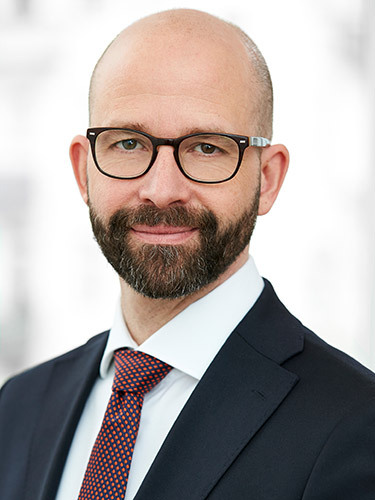 At it-economics Holger Fink now is a partner, member of the Advisory & Sounding Board and head of Market Group Banking. "Digitalization is changing our lives, be it with online shopping at home or communication in the workplace. When I started my studies, just 0.13% of the population had Internet access. Today that figure is over 80%. Digitalization is steadily penetrating other areas and opening up new opportunities. I would like to be actively involved in shaping this exciting process and to stand next to our clients as a trusted advisor so that they can continue conducting their business efficiently and effectively in the future." Before joining it-economics in 2010, Markus Zötl gained more than 10 years of experience in financial services at Accenture. There the computer science and economics graduate supported clients in the areas of software development, migrations and outsourcing. As a senior manager at it-economics, Zötl assumed overall management of and personal responsibility for projects and is involved in business development and recruiting. He has 18 years of experience in technology consulting for banks and insurance companies as well as in the management, design, implementation and rollout of complex IT projects. As associate partner, he is a member of the advisory and sounding board and leads the insurance market group. Klaus Wiedemann is Associate Partner and member of the Advisory & Sounding Board. He joined it-economics as Senior Manager in 2017 and has over 20 years of experience in major IT projects, software development and the development and financing of new technologies. Prior to joining it-economics, the computer scientist and Chartered Financial Analyst (CFA) worked for companies such as Andersen Consulting (now Accenture), BayTechVenture and a number of startups and DAX corporations. Since 2019 he has been responsible for Marketing and Emerging Technologies, including Robotic Process Automation (RPA). "My main objective is to work with my team to find, retain and develop the best staff for it-economics. We are committed to responsible and intelligent growth, and never losing sight of our values or culture. New HR projects and measures are developed together as a one-team so that we can offer suitable solutions for everyone in the company. The recent employer seals of "Great Place to Work" and "Focus" show me that we are on the right track. I am delighted to be able to continue to accompany it-economics across all locations in all HR and personnel topics and, since January 2019, to also take over site management for our Munich office." Petra Ozimek-Zimmermann heads it-economics‘ HR activities and is responsible for the Company‘s recruiting, training and development and retention efforts of its talent pool. Before joining it-economics in 2014, she gained over 28 years of experience as Head of Career Development and HR at Boston Consulting Group and as Head of Human Resources at Schön Kliniken.